Britney is hosting a Piece Of Me Charity Ride at XCYCLE in Las Vegas next month to raise funds for the Nevada Childhood Cancer Foundation! Proceeds from this event will benefit NCCF’s ONE Year ONE Home capital campaign enabling them to serve pediatric and adult clients at one convenient valley location. You can donate now to win a trip for 2 to Vegas to meet Britney! See the full list of prizes available below. 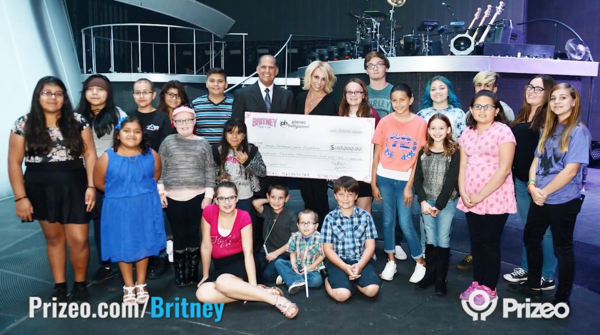 Head to Prizeo.com/Britney to contribute to this amazing cause!